A man who had been sober for 28 years decided to start drinking again, and it didn’t end well. After getting behind the wheel drunk, he crashed head-on into a car; killing a 9-year-old boy, paralyzing a 7-year-old with horrendous spinal injuries and permanently injuring a woman. A judge has awarded the victims’ families $15 million collectively. After remaining sober for 28 years, the driver decided to take up drinking again just 6 months before the incident. He intended to spend that day gambling and “drinking to the point of intoxication” while asking his wife to serve as designated driver. However, as the day went on, both husband and wife were drinking. After visiting the last of 3 bars, the driver got behind the wheel and left his wife as she was in the restroom. He had not been legally licensed to drive for almost 30 years prior. Less than a minute after leaving his wife at the bar, the driver encountered 3 vehicles. The first was able to swerve out of the way and avoid contact; the second car was clipped by the driver; and the third was hit head-on. The driver of the third vehicle was the aunt of the 9-year-old. Her 7-year-old son was in the back seat. After suffering enormous spinal and brain injuries, the 9-year-old was removed from life support the following day. His medical bills totaled just over $60,000 and his funeral expenses were $10,143. The 7-year-old experienced a traumatic brain injury and significant spine injuries that have left him paralyzed from the waist down. He has since incurred medical bills of over $386,000. The aunt experienced a broken foot and ankle as well as a permanent injury to her dominant hand. Because of her injuries, she has had to change professions. 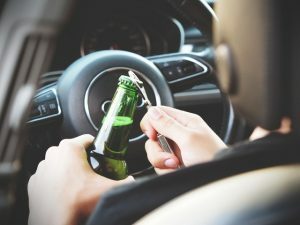 While the driver was viewed to be 50% responsible, 2 of the 3 bars were also found to share in the blame. At one of the bars, it was not obvious at the time that the driver was intoxicated, so there was no charge of an illegal sale. The other bars, however, were found to be guilty with the driver. According to data, about 40% of the more than 11,000 new spinal cord injuries sustained each year are caused by car accidents. They can result in permanent damage, including causing the victim to become a paraplegic or quadriplegic and other serious health issues. Brain injuries, as happened in the case above, and head trauma are the leading causes of death and injury in car accidents. In fact, car accidents are the cause of about 15% of all traumatic brain injuries in the U.S. each year. It’s obvious that drivers under the influence of alcohol or drugs often experience a loss of judgement and driving ability – factors that can easily lead to death or serious injury.